Hello, this is Amy. I always love a bowl of hot soup, but especially when evenings are cool. 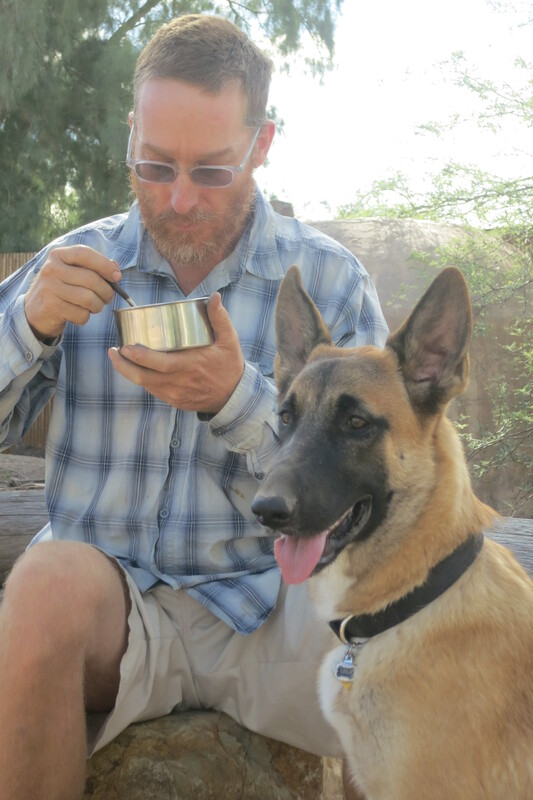 We’ve been camping in the yard this week with our new dog, Leila and eating lots of soup. I have many basic templates and here is one of the easiest. Adobo powder really brings together the disparate characters in the veggie drawer. The entire CSA share in one big pot! Adobo refers to many different things around the world. It comes from the word adobar, to marinate. 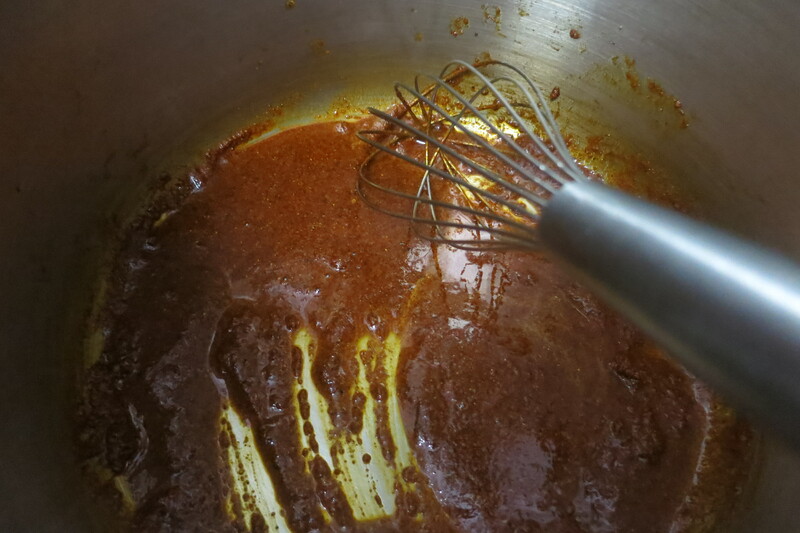 Made into a sauce (especially with vinegar) or used dry, it does make an excellent marinade. 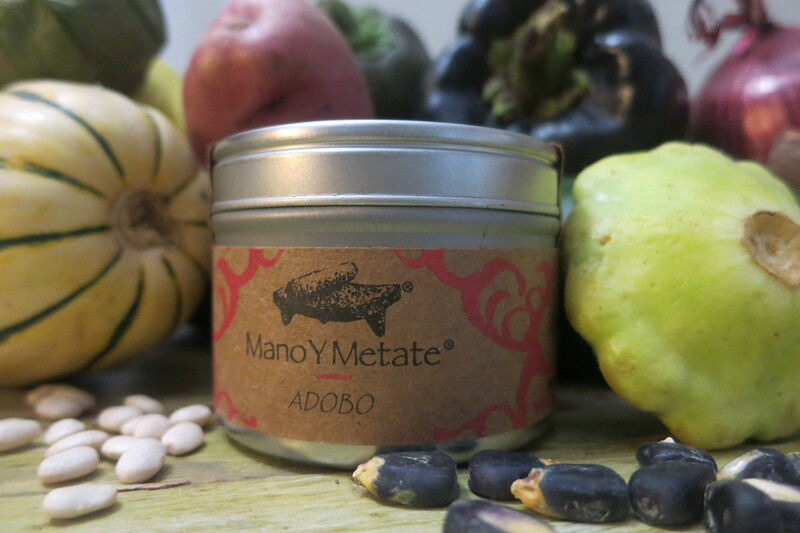 Mano Y Metate Adobo is made with Santa Cruz Chili, hot. This is very special chile from Tumacacori, Arizona. That bright red color! I pair that with a little chile ancho for depth. Sesame seed and organic corn tortilla meal give the finished soup or sauce some body. Cumin and Mexican oregano are two of the standout spices, with cloves and Mexican cinnamon in the background. 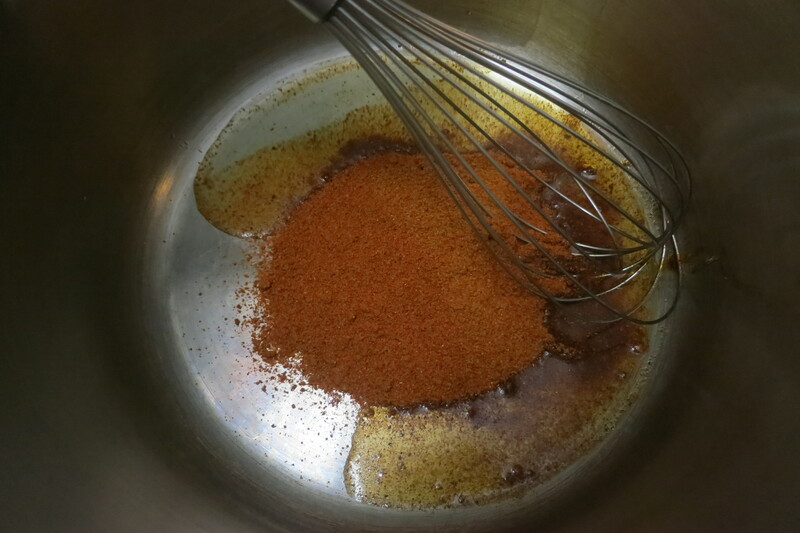 Five flavors: spicy chile, the little bit of ancho has a hint of bitter, plenty of salt and evaporated cane juice for balance. All that’s missing is sour from a lime wedge squeezed into the bowl. 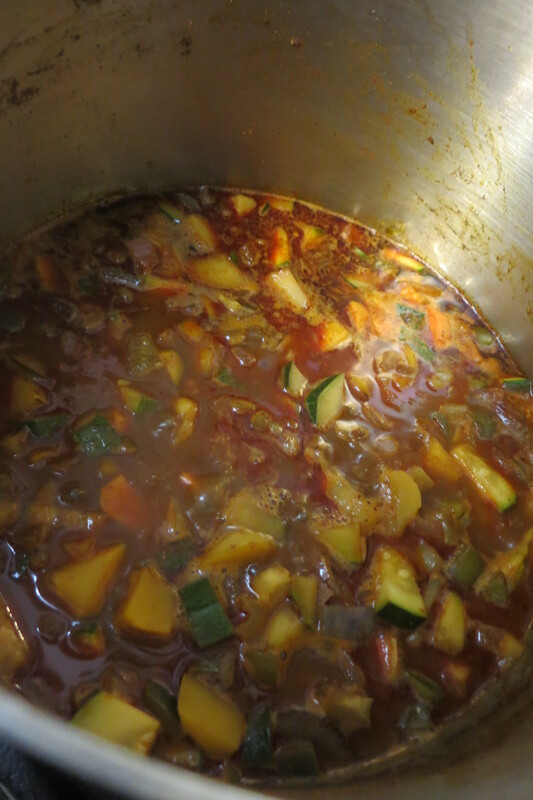 To make a soup, put a tin of Adobo powder and a few tablespoons of oil in a soup pot. Cook over medium heat until it turns a shade darker in color and smells fragrant. 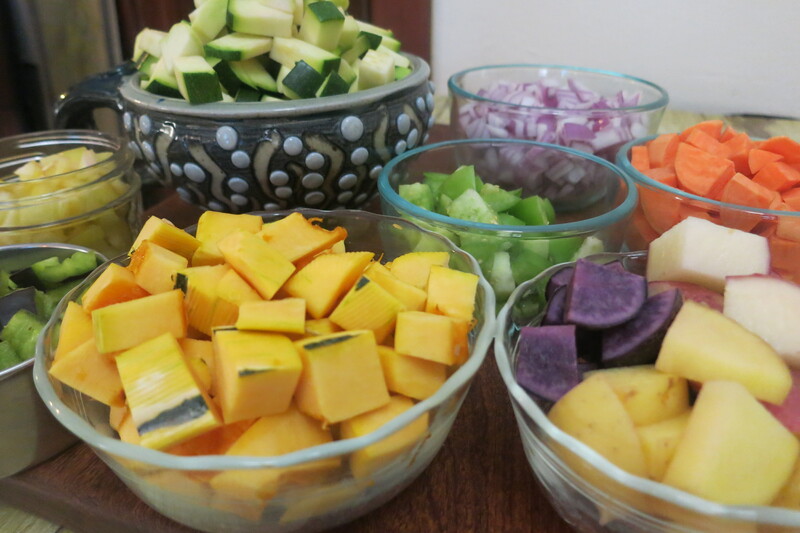 I have listed below some of the specific vegetables I used simply because I love them. Use what you have and love. Fresh or leftover meat is a great addition. Every single ingredient in this recipe is optional. Add the longer cooking veggies and stir to prevent sticking. Before it burns, add a quart of water or broth. When making Adobo into a sauce, I insist upon using broth. However, for this soup water works fine. 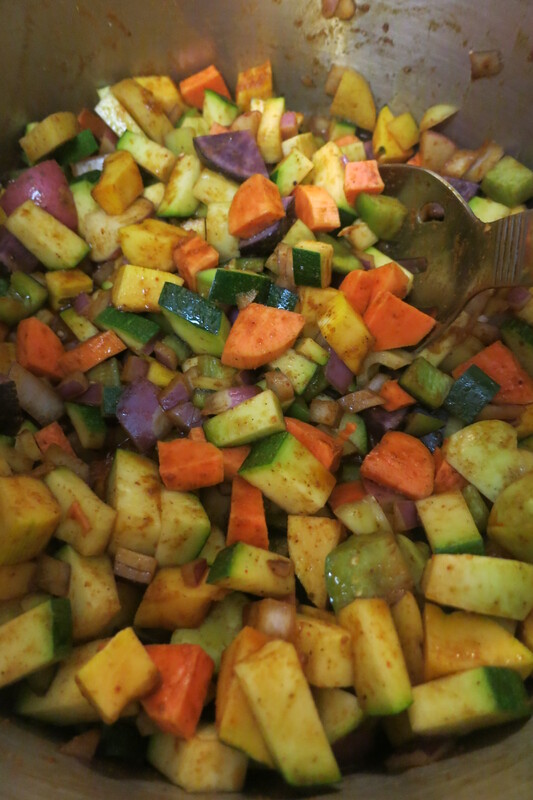 Add the quicker cooking veggies as inspired, including precooked posole or beans, if using. I cook the posole and beans separately to ensure that they cook thoroughly but not at the expense of overcooking the tender veggies. When everything is tender, salt to taste. Garnish with lime wedges, avocado, thinly sliced white or green onion and cilantro.